These aging quotes are all inspirational, positive words of wisdom on getting older. Many people worry about getting older and dread the oncoming turn of each decade. But, as with everything in life, our attitude makes all the difference. By keeping a positive attitude to life you'll be happier and more able to cope with whatever may come our way. This page contains quotes from sources and authors surnames A through to L, the other page is: M to Z. 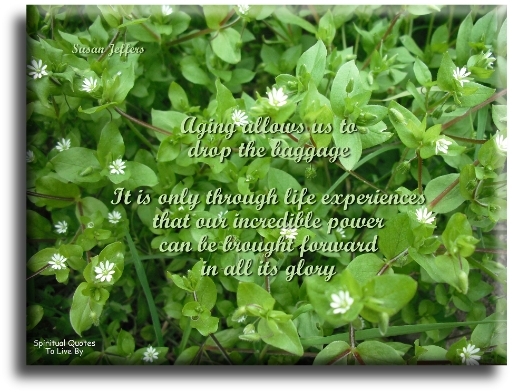 There is also a page of Aging Sayings with wise words about getting older from unknown sources. I'm not interested in age. People who tell me their age are silly, you're as old as you feel. You don't get older... you get better. We grow neither better or worse as we get old... but more like ourselves. I think people make their own faces, as they grow. Grow old with me... The best is yet to be. You can't help getting older... but you don't have to get old. 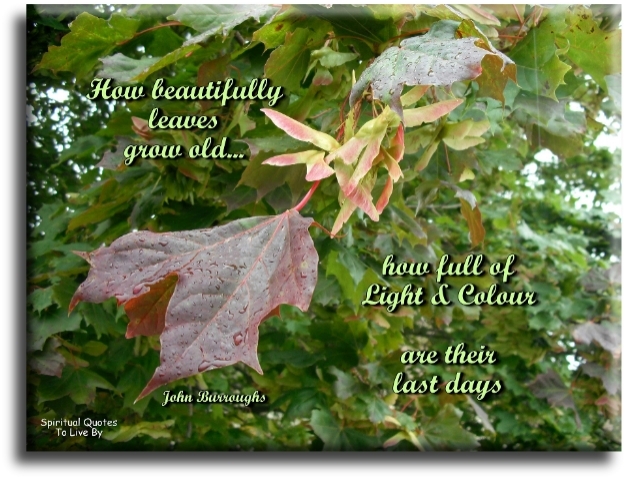 How beautifully leaves grow old. How full of light and colour are their last days. Some people, no matter how old they get, never lose their beauty... They merely move it from their face into their hearts. No matter what your age or your life path, whether making art is your career or your hobby, or your dream, it is not too late or too egotistical, or too selfish, or too silly to work on your creativity. The man who works and is not bored is never old. 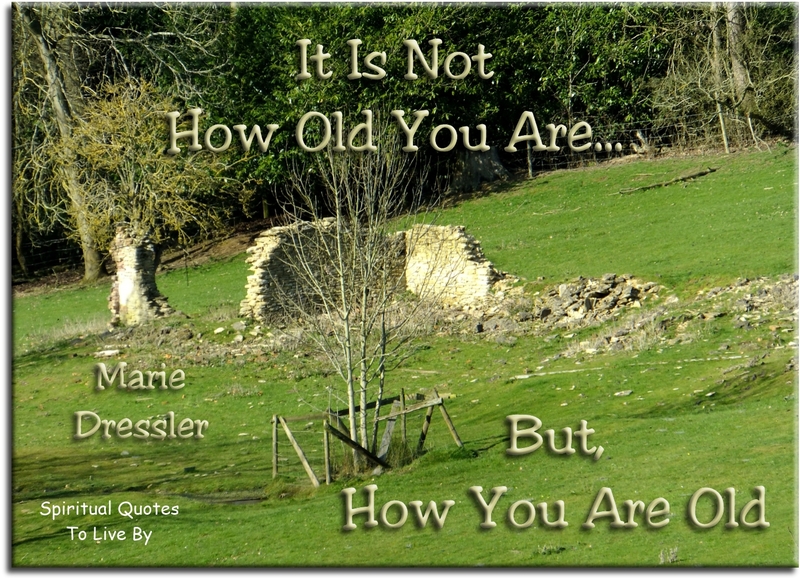 Age is a matter of feeling... not of years. I suppose it's all a question of surgery, isn't it? Of course the notion is beautiful, the idea of staying a boy and child forever, and I think you can. I have known plenty of people who in their later years had the energy of children and the kind of curiosity and fascination with things like little children. I think we can keep that, and I think it's important to keep that part of staying young. But I also think it's great fun growing old. 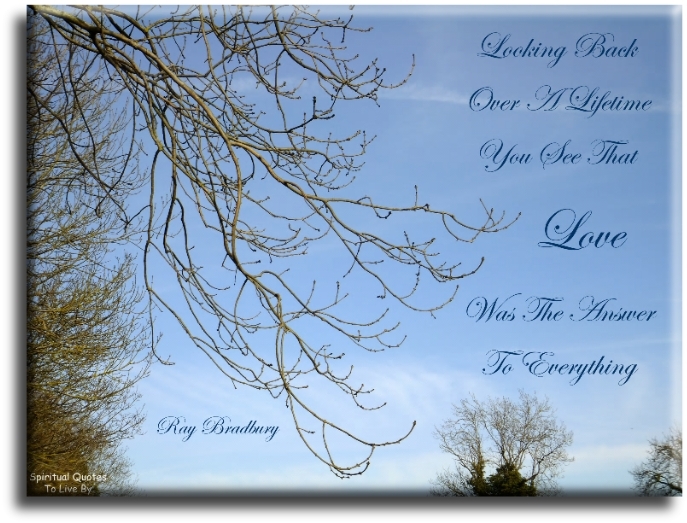 The love we have in our youth is superficial compared to the love an old man has for his wife. 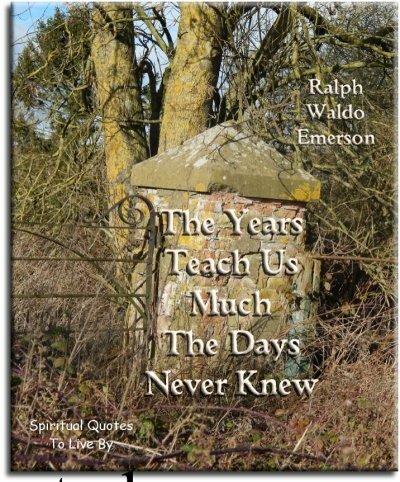 The years teach us much, the days never knew. I love getting older. My understanding deepens. I can see what connects, I can weave stories of experience and apply them. I can integrate the lessons. Things simply become more and more fascinating. Beauty reveals itself in thousands of forms. Those who love deeply never grow old, they may die of old age, but they die young. Anyone who stops learning is old, whether at twenty or eighty. Anyone who keeps on learning stays young. The greatest thing in life is to keep the mind young. The older I get... the more of my mother I see in myself. I did this scene in Lars And The Real Girl where I was in a room full of old ladies who were knitting, and it was an all-day scene, so they showed me how. It was one of the most relaxing days of my life. The other day a man asked me what I thought was the best time of life. "Why" I answered without a thought, "NOW." Age is not important... unless you're a cheese. The young man know the rules, but the old man knows the exceptions. Forty is the old age of youth... Fifty the youth of old age. If you look in the eyes of the young, you see flame. If you look in the eyes of the old, you see light. One of the uncovenanted benefits of living for a long time is that, having so many more dead than living friends, death can appear as a step backwards into the joyous past. How beautiful can time with goodness, make and old man look. The evening of a well spent youth brings it's lamps with it. Children are a great comfort in your old age. 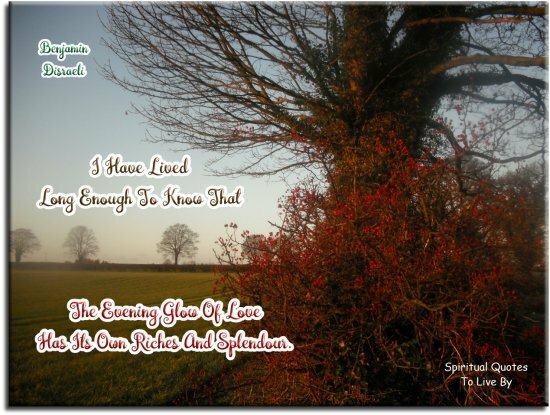 Live a good, honourable life. Then when you get older and look back, you'll be able to enjoy it a second time. There is a fountain of youth; it is your mind, your talents, the creativity you bring to your life and the lives of people you love. When you learn to tap this source, you will truly have defeated age.